WELCOME ! 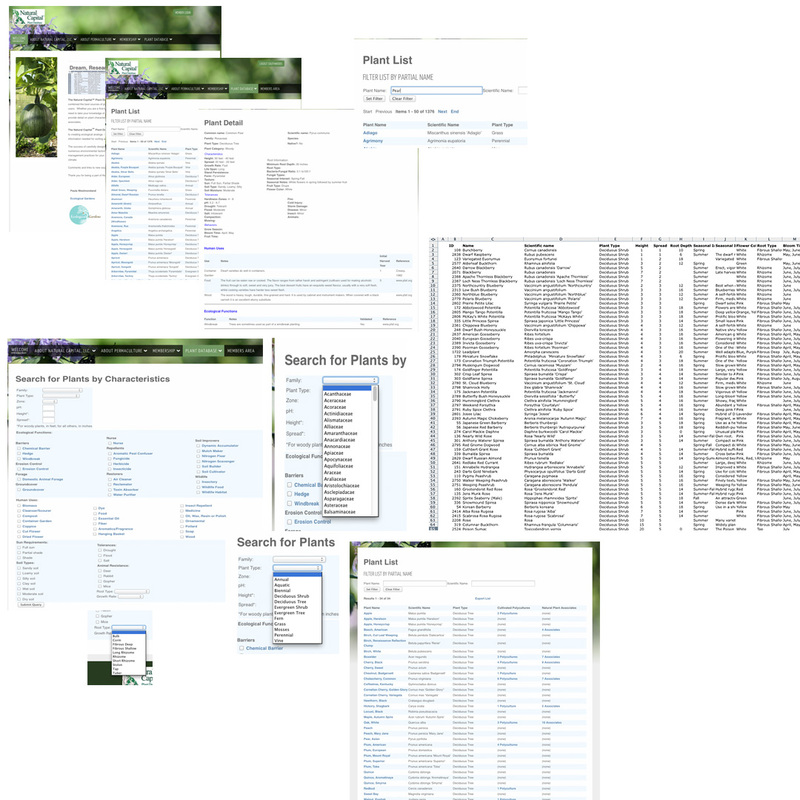 Dream, Research, Design, Build, Plant, Grow, Harvest with plants from the Natural Capital Plant Database. When you register, please complete your profile with your city and country. That will help us deliver better plant information and give you full access if you buy a subscription. Thanks. We recommend Google Chrome®or Apple Safari® web browsers for the best user experience on this site. Working in Haiti we developed new plant systems for a variety of applications in the farm. With the huge need for local resources and food we try to bring in as many ecological functions as possible to each space. Each tree represents numerous companion plants and polyculture functions for its support. This Perennial Land is the story of a beautiful and intensely farmed land that has been written off as a “sacrificial landscape”—a natural place ceded entirely to industrial use—even by many concerned about the environment. Through essays and photographs, the authors trace the natural and cultural history of the land, share stories of a new breed of pioneer farming with nature in mind, and a future vision of a restorative agriculture. They make a compelling case for changing what we grow in this working landscape and how and where we grow it in order to restore historic function at a landscape scale. Accompanied by a remarkable “opportunity map” it offers a rough blueprint—a conceptual starting point—for landowners, policymakers, and citizen who want a part in forging a new vision for returning health, beauty, and economic stability to corn and soybean country. 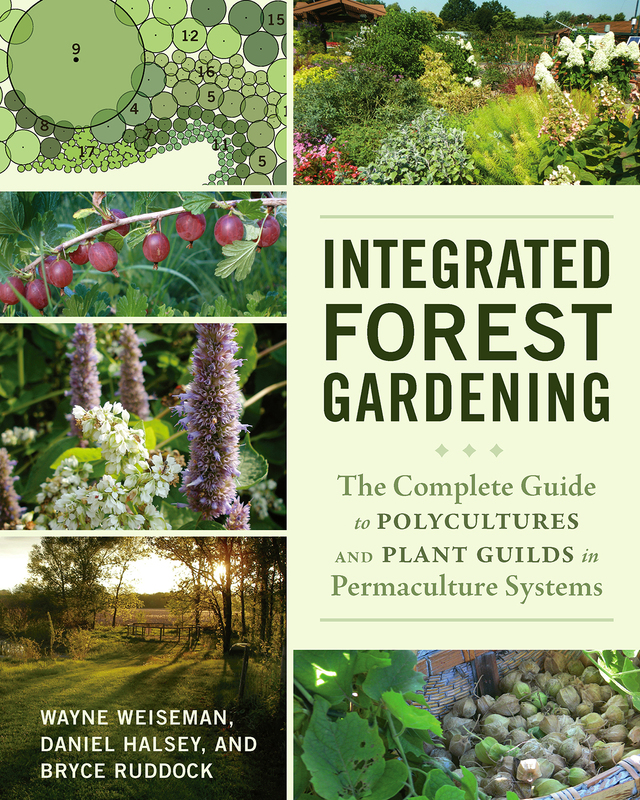 The Complete Guide to Polycultures and Plant Guilds in Permaculture Systems. By Weiseman, Halsey, and Ruddock. Click here to ask a question or comment. Check out the discussion forum under the database tab. In the city, what can you grow in small spaces? Popular with urban farmers are the smaller urban cultivars. Many urban farmers grow smaller vegetable cultivars and use vertical beds to increase the variety and relay the harvests, so plants mature at different times. Any south facing wall can become a green wall of vegetables using planter trellises and hanging baskets. Look for smaller annuals and some that may be shade tolerant. This month Designer Franko Gohse in Zanzibar, Tanzania built these polycultures for urban agriculture. Fruiting trees are combined with fodder crops for livestock. The success of carefully designed plant systems is fairly predictable, but plants vary in size and growth rates based on numerous environmental factors. Check with local growers, nurseries, and institutions for the best species, cultivars, and management practices for your area. Source your plant materials locally or from growers at the same latitude, zone, and climate. 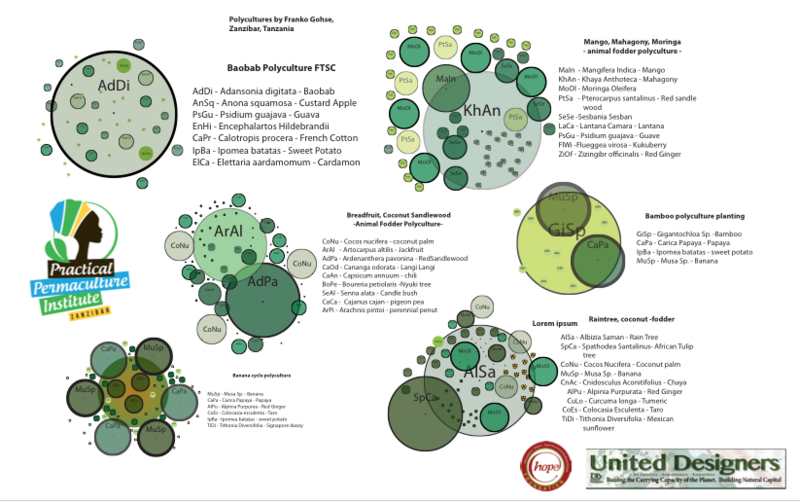 Comments and links to new sources for plant data is always appreciated. Thank you for being a part of the Natural Capital™ Plant Database Community.